This is a work that I painted late last year. I have painted several smaller pictures featuring many of these old bottles, and I wanted to try a slightly more ambitious composition. 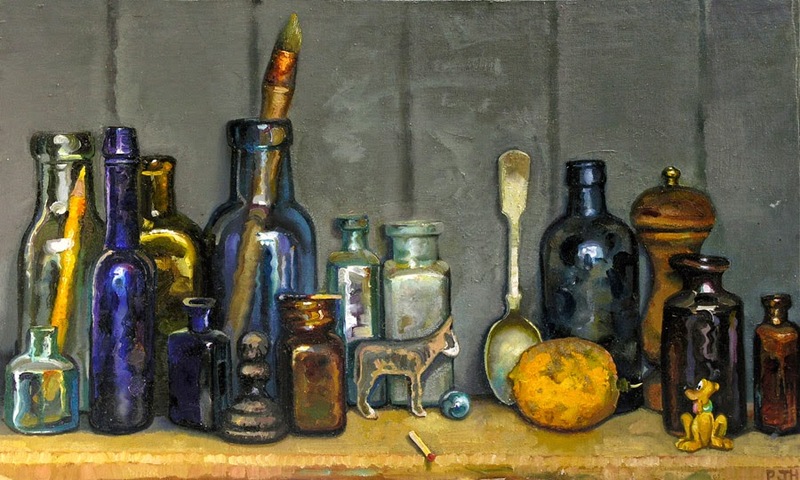 In some ways it's two paintings in one with the large tarnished spoon acting as a fulcrum between two little arrangements, the wooden donkey and plastic Pluto acting as respective mascots. I was painting it at the time of New Zealand's General Election. "the little dog laughed to see such sport, and the dish ran away with the spoon"